There is a principle of liberty that on the surface seems counter-intuitive and that is this: In order to be truly free one must be under authority. This is a clear, organizing principle of freedom apart from which the blessings of liberty can never be realized. But the idea of being under authority doesn't set well with the natural man. We humans tend to bristle at the notion because we like to think that freedom is all about being completely unrestrained, able to do whatever we want to do, whenever we want to do it. Even so, we recognize that there must be a governing authority. So there is a perpetual friction and tension between authority and freedom. So how can there be both a governing authority and freedom? The only way this can happen is if the governing authority is just and righteous. The ultimate such authority is God. The nearest humans have come to devising and implementing such an authority is the United States Constitution. 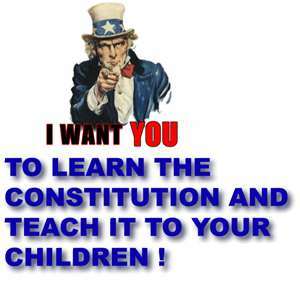 The problem that is killing America and freedom today is that the Constitution is no longer authoritative. 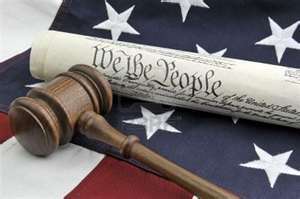 Ultimately, the American experiment of collective self government has always depended on individual self government, i.e., on whether or not individual citizens would govern their own behavior and actions according to a fixed moral code. In other words, whether they would live their lives under authority. 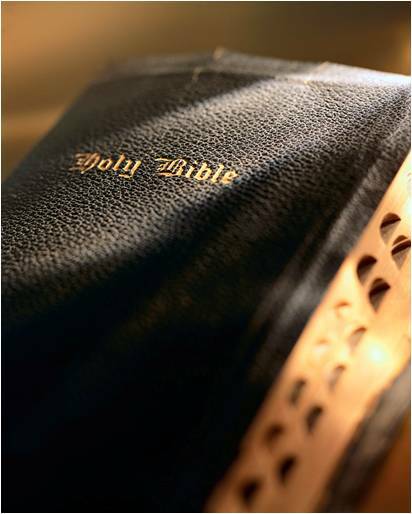 If one will but look at recent history there is a clear correlation between the rejection of just and righteous moral authority, (prayer, Bible reading and Ten Commandments banned from schools, etc...), and the expansion of government authority to replace it. Trading one for the other, in the name of free stuff, we have in the bargain lost our liberties. How ironic! 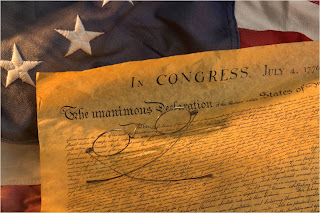 The antidote for this decline is for We The People to once again embrace and live out the Principles of Freedom the Founders built this country on. To help facilitate that I would like to encourage us each and all to study the Bible, The Declaration of Independence, The US Constitution and true American history. I believe doing so will enable us to better submit to just and righteous authority and to recognize and resist that which is not. It will also help us to help others to do the same. In so doing we can help restore the Constitution to its place of authority and ensure a new birth of freedom in America and the world. We often hear it said, "Proud to be and American". I think we should rather consider ourselves humbled and blessed to be such. There will be many services and ceremonies this Memorial Day. I hope we'll each and all attend one. And as we do may we pause to humbly reflect on freedom and in particular, its cost, and how blessed we are to live here. And may we do so with a right understanding of what freedom is, why it matters and what it will cost to restore it, ready willing and able to pay our share of that cost. God bless you each and all this Memorial Day.